Online Presence Builders was able to create and develop a new ECommerce website for Prepared Nutrition. With a clean, sleek, and user-friendly design, Prepared Nutrition can easily manage and sell health conscious meals on their website. The design is visually appealing, having content that search engines may easily navigate and rank. 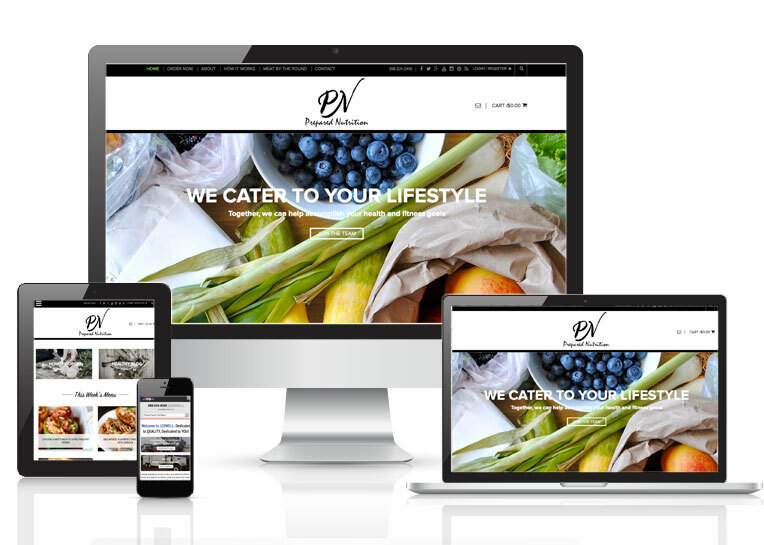 Using Woocommerce shopping cart software Online Presence Builders created significant pathways to successfully attain more meal sales and memberships for Prepared Nutrition through their website. Prepared Nutrition offers a wide variety of “Deliciously Healthy Meals” so you don’t have to spend hours meal prepping for your busy week. Our protein packed menu rotates each week so that you don’t get tired of eating healthy on a consistent basis. Our carefully selected entrees’ are of the highest quality, with no preservatives. The average Prepared Nutrition client eats 2-3 meals per day, M-F (10-15 per week). Orders must be submitted no later than Wednesday evening for the following week. We offer FREE pickup in Shreveport, Bossier City, Ruston and West Monroe Louisiana. Monday 10am-6pm. Delivery is available too in Shreveport and Bossier City! Online Presence Builders offers professional website design, and secure E-commerce site development. From initial conception to final delivery, we will analyze, develop and build your web presence the right way. We have a full selection of online marketing and optimization services to grow your online business.